SAP is a table driven system Table driven allows it to change configuration quickly and easily. There is no coding block where adding a fund center means you must change thousands of records. SAP Document Principle Every transaction creates an electronic “document” which has information about Document date, Posting date, Document type, posting key, account number and amount. A completed document is posted only when its debit and credit items balance to zero. SAP is a “Real Time” system A transaction entered into SAP updates the database immediately. Unlike batch systems where the database is updated overnight, reports run in SAP reflect up to the second information. Integration of Modules The modules of SAP (FI, FM, MM, etc) are integrated so that any change in any module is immediately and automatically reflected in other modules as well. SAP is a COTS system COTS is an acronym for Customized, Off The Shelf software. While not custom developed for NASA, it has been configured to meet NASA’s unique requirements. Set at the time of initial setup, does not change often, it is difficult to change Org data or delete. Company Code: The smallest organizational unit of Financial Accounting for which a complete self-contained set of accounts can be drawn up for purposes of external reporting. Ex: G/L Accounts, Customers, Vendors, Profit center, Cost center etc. Uses master data in conjunction with non-master data. Ex: Invoices, credit memos, journal voucher etc. Business Area: An organizational unit of financial accounting that represents a separate area of operations or responsibilities within an organization and to which value changes recorded in Financial Accounting can be allocated. You can create financial statements for business areas, and you can use these statements for various internal reporting purposes. Business area is company code independent. GL Account: A structure that records value movements in a company code and represents the G/L account items in a chart of accounts. A G/L account has transaction figures that record changes to the account during a posting period. These figures are totals that are used for G/L reporting. Chart of Accounts: A classification scheme consisting of a group of general ledger (G/L) accounts. Chart of Accounts contains definitions of GL accounts in a ordered form, you can define a GL account as P&L account or Balance sheet account and also define the account group. GL account groups define the number ranges and type of account such as Cash, asset, Expense or Revenue. Number ranges can be intelligent and should easily be recognizable. GL account groups will let you organize accounts into cash , asset , exp and revenue, each groups has a business function and set of properties and same number ranges. Reconcialation accounts connect subledger to the ledger, when an entry is posted to subleger it is automatically posted to the ledger. Each subledger has a recon account, and the balances in recon account and subledger should match. For example all vendors have a recon accoutn that has vendor balances, the balances in recon account should match the vendor balances. GL Account: A structure that records value movements in a company code and represents the G/L account items in a chart of accounts. A G/L account has transaction figures that record changes to the account during a posting period. These figures are totals that are used for G/L reporting. GL Accounts can be created a the Chart of Account level or at the Company code level ( Centrally ), i.e. they have Chart of Account view or central view with Both COA and Company Code. Functional Area: An organizational unit in Accounting that classifies the expenses of an organization by functions. Cost center: An organization unit in controlling that records expenses of a division that consumed goods or services. Profit center: An organizational unit responsible for generation of revenue. Vendor Master: A company or individual where goods and services are purchased. Customer Master: An organization or individual who purchases goods or services. What is a Document type: Each document type represents a unique business function, and also identifies a number range. For example SA is for documents posted in Accounting, and the number range is 1000000 11000000, Invoices are of document type KR, Customer receipts are document type DR. This lets you organize and see postings made from subledgers and other outside systems. Document type also has properties that you can assign to each business process such as field status variants. Posting keys: Will tell the system which account type is being posted, weather it is a debit or credit and tell the system if a field is required or not. Account type is “S” for GL postings, “D” customer , “K” Vendor , “A” for asset etc, for 40 posting key a debit entry it is positive entry i.e the money or value is going up. Posting key 70 is a debit in Asset and value should go up. 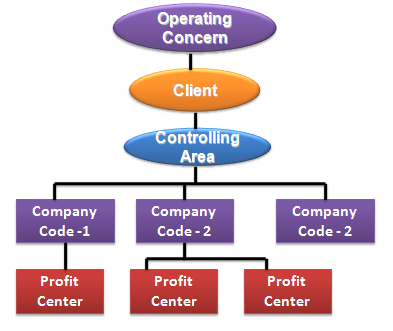 Controlling area: An organizational unit within a company, used to represent a closed system for cost accounting purposes. A controlling area may include single or multiple company codes that may use different currencies. These company codes must use the same operative chart of accounts. All internal allocations refer exclusively to objects in the same controlling area. Cost Element: Classification of the organization’s valuated consumption of production factors within a controlling area. Cost Center: An organizational unit within a controlling area that represents a defined location of cost incurrence. Internal Order: An instrument used to monitor costs and, in some instances, the revenues of an organization. The Asset Accounting (FI-AA) component is used for managing and supervising fixed assets with the SAP R/3 System. 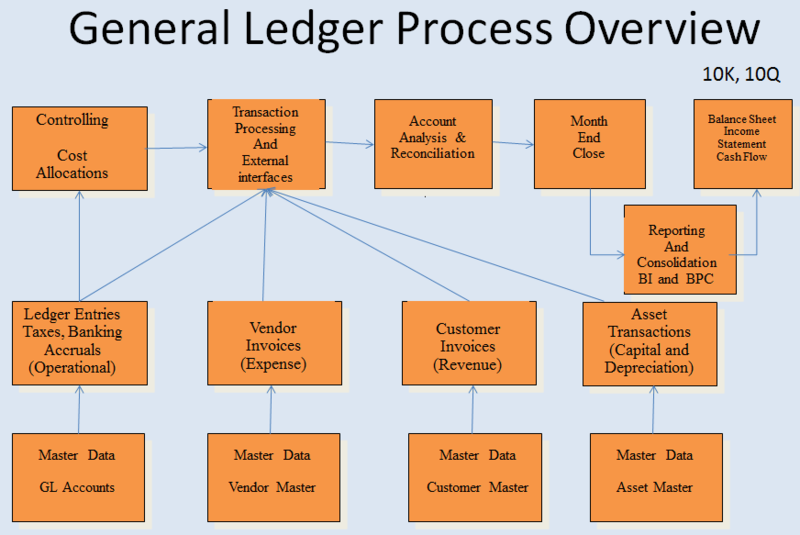 In SAP R/3 Financial Accounting, it serves as a subsidiary ledger to the FI General Ledger, providing detailed information on transactions involving fixed assets. group master records by specific criteria. The asset class contains default values and control elements which are passed on to the individual assets when you open a new asset master record. By entering useful default values, you reduce time and effort needed for creating new asset master records. You also ensure that the records in a given class are handled uniformly. Asset classes are made up of a master data section and a section for valuation data. You define the master data section of an asset class once on the client level. The valuation data section is dependent on the assigned chart of depreciation, which in turn is directly linked to the company code. You can assign different charts of depreciation to an asset class, so that all assets in this class will be treated differently in each country. Assets under construction require their own asset class. Choosing the depreciation key ‘0000′ ensures that depreciation is not calculated for the asset under construction in depreciation areas that are posted to the balance sheet (in accordance with the legal requirements in most countries). However, special tax depreciation and investment support are possible even on uncompleted assets. Assets under construction have to be shown separately in the balance sheet. It is possible to post down payments on assets under construction if you enter transaction type group 15. You can enter credit memos on the asset under construction after its complete capitalization, if you allow negative acquisition and production costs (APC). The component IM (Investment Management) is available for managing more extensive asset investments from a controlling-oriented perspective. Vendor master has 3 views, one client level view where General data such as vendor number and name are stored, second company code view where company specific information is stored such as payment terms are stored, third purchasing view where purchasing specific information is stored. Same vendor number can be used in multiple company codes. Each vendor should belong to a account group, each account group will have similar charecteristics and same number ranges like local vendors, minority vendors and so on. Each group of vendors will have the same views and data. You can create any number of account groups. When entering a invoice you need to post a debit to expense , and this also required a CO object i.e cost center or burden center or who ever is taking responsibility for that expense.